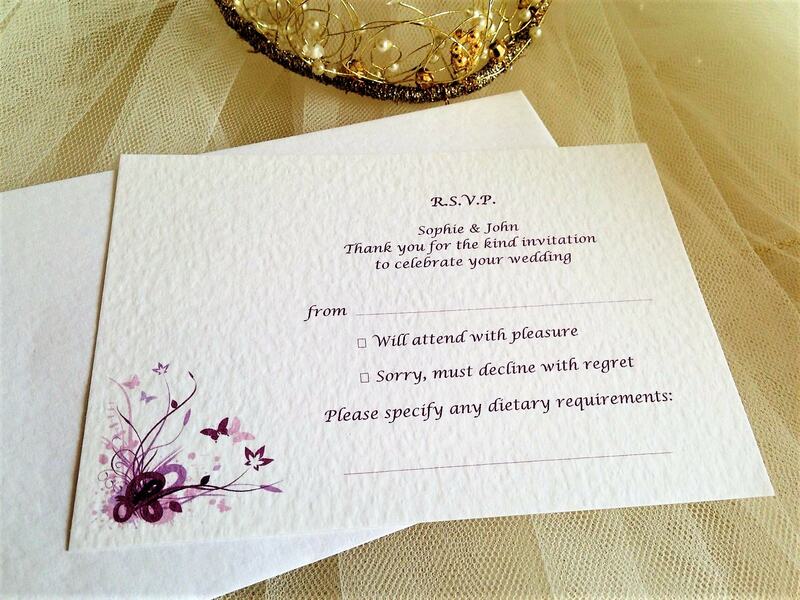 The Purple and Lilac Butterfly RSVP Postcard style reply cards are available in either white or ivory heavy hammered card (270gsm) to match your Purple and Lilac Butterfly invitations. 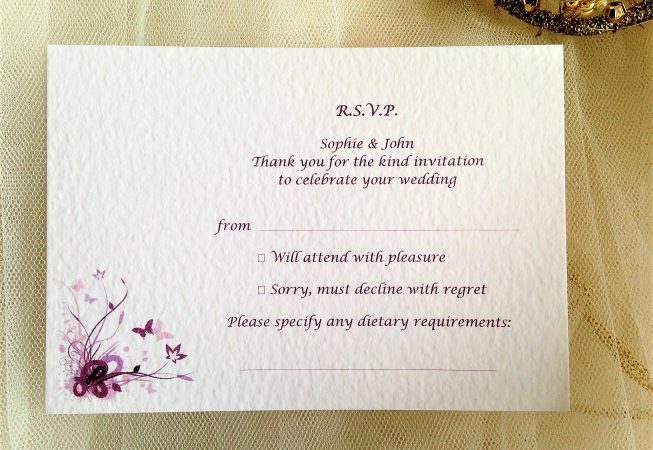 or song requests for the evening reception. 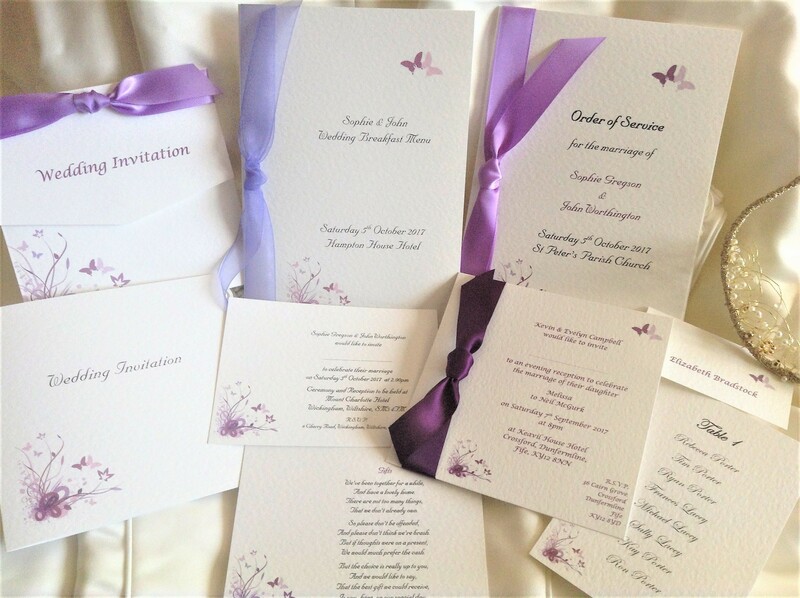 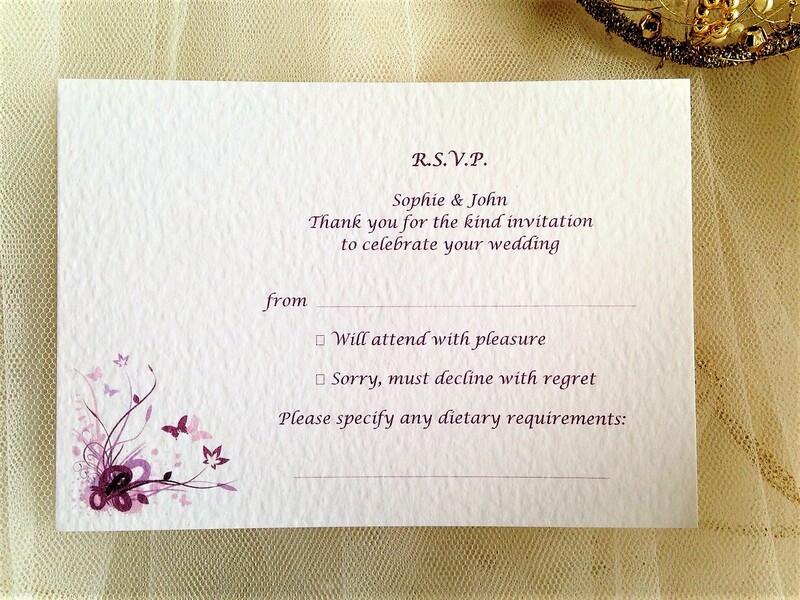 The Purple and Lilac RSVP Postcard forms part of the Purple and Lilac Butterfly Wedding Stationery Range.